Popular Bollywood singer Shaan opened the show for designer Troy Costa at the ongoing Lakme Fashion Week here and sang a love ballad "Where do I begin" from the film "Love Story" for his wife, Radhika. The couple, who were also the show stoppers for Costa's collection, will celebrate a decade of tying the nuptial knot, Tuesday. While Shaan flaunted a black tailored suit with checks in self-print, Radhika was sporting an off-shoulder gold colour gown. "My collection is about love and I wanted to celebrate it. Today in the world of divorces and second marriages, when you see love that is strong, then it needs to be celebrated. "I got to know from Radhika that they are celebrating 10 years of their married life. Tomorrow happens to be their 10th year wedding anniversary. They have been in love four years before that that means 14 years of being in love," Costa told IANS. "So I felt that this needed to be celebrated at a grand level like this. So the entire collection surrounded them, the clothes were very feminine, beautiful, the music was romantic," he added. 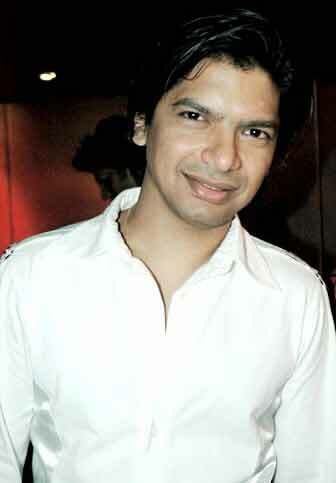 When asked Shaan whether he was nervous while walking the ramp, the singer said: "I was not nervous but yes, very excited. Radhika did really well. I've been performing in front of people so it was okay." As far as the collection is concerned, it included evening gowns, cocktail dresses, tailored suits and fitted knee hitting dresses. The fabrics used were chiffon, silk and satin with embellishments and modern embroidery. Even the colour palette was meant for evening wear with colours like magenta, wine, golden beige and rust. "My collection is categorised under the concept of accessible luxury, combining the skill of draping with the expertise of tailoring," said the designer.